During the first seven months of the year, the entry of 1.4 million tourists was reported, 13% more than the 1.2 million reported in the same period in 2017. 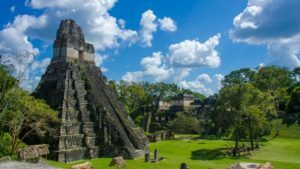 During the month of July, a total of 211,571 visitors passed through, of which 80% were tourists and 20% were day trippers, according to the Guatemalan Tourism Institute (Inguat). According to the Inguat, in relation to the month of July 2017, there was an increase of 15%, which meant 27,665 more visitors. Except for South America and “Rest of the world” the other regions registered growth, these being, Central America (31%), North America (2%) and Europe (1%). For reasons of scheduling, there was cruise ships arrivals. The report adds that almost six out of ten visitors (58%) come from Central America, especially from El Salvador, which represents the largest number of tourists that Guatemala receives, having a 43% share. It is followed by the United States (25%) and Honduras (5%).